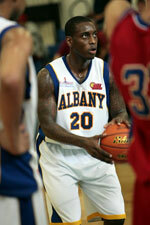 Al Mina (IBL) landed 27-year old American forward William Green (201-97kg-91, college: Stetson). He played in the summer at Calero in Bolivian Libobasquet. In 15 games he averaged 8.1ppg, 4.6rpg and 1.1apg. Green helped them to win the league title. It was a very successful season in his career as he was selected to Latinbasket.com All-Bolivian Libobasquet Honorable Mention. Part of last season Green spent at ES Sahel & DSG (Division I) in Tunisian league. Two years ago (two years after he left the college) Green was drafted by Halifax Hurricanes (NBL Canada) in first round (9th overall). 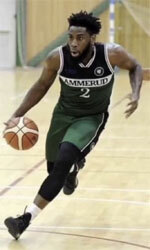 The former Stetson University standoutis in his fifth season in pro basketball. Green has quite traveled the world as his pro career brought him to five different continents (Europe, Asia, Latin America, Africa and of course North America). Green has played previously professionally also in Morocco (FAR Rabat) and Spain (Cordoba and Cambados).